The New Orleans Ice Cream company was cool enough to insist that I try all their flavors despite my inherent aversion to alcohol based ice creams. To make it even tougher, this one has got banana in it to. Oh this won't be pretty.... let's keep this short and sweet. 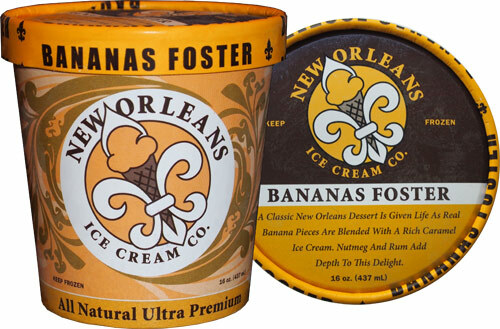 This is New Orleans Ice Cream Company's Bananas Foster ice cream. 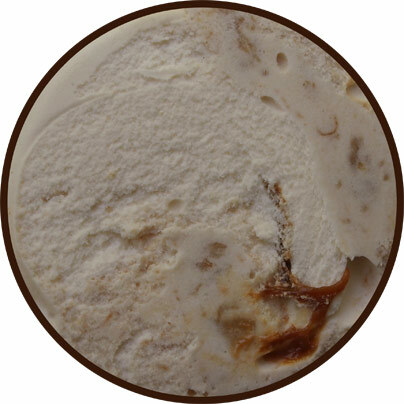 It's "A classic New Orleans Dessert is given life as real banana pieces are blended with a rich caramel ice cream. nutmeg and rum add depth to this delight". Let's be honest, this one sounds way more fancy then I can handle. There's a blast of rum aroma that hits you when you freshly open the pint... so yeah, I'm officially scare. I wound up going around the banana bits and aiming for the caramel swirl on my first attempt, but let's try the base first this time. It's banana, rum, and then a hint of caramel. Man I despise the burn of alcohol. I know many of you wouldn't notice, but I sure do. 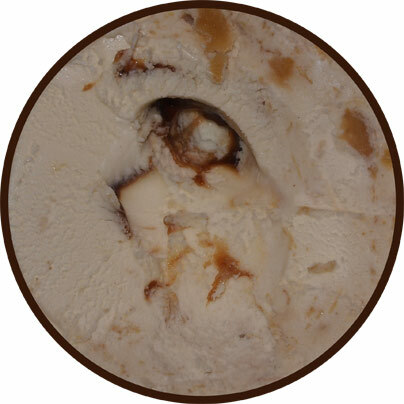 The swirl is neat looking, but again, it's burn first, and then banana and caramel fight it out for second place. Such a shame. Oh, don't get me wrong, I have a buddy that might love this, but it's totally not for me. When New Orleans spices things up the adult way, they create a pint that is not to be trifled with. Hey, that's how they roll so more power to them.